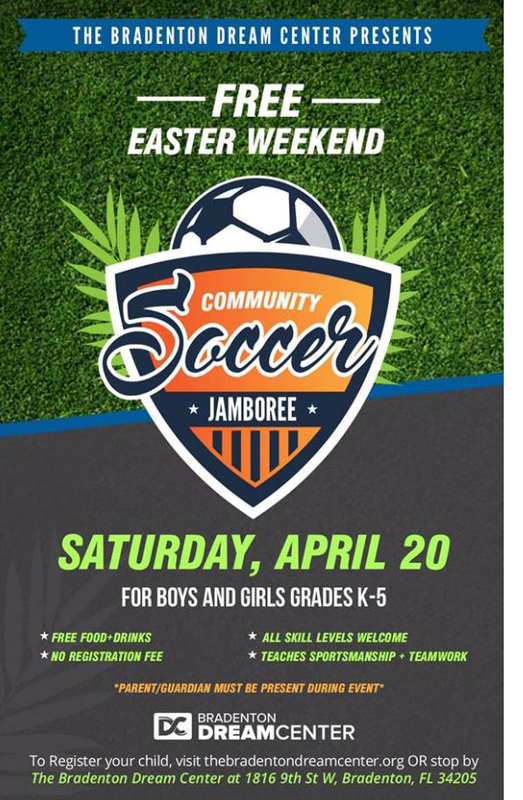 Join the Suncoast Campaign for Grade-Level Reading at The Bradenton Dream Center on Saturday, April, 20 for the Community Soccer Jamboree! This is a FREE, Family Friendly event. There is no requirement to participate in soccer activities. However, any child that is in K-5 and interested in playing must register at www.thebradentondreamcenter.org. Space is limited.